“The Adventures of Mike Grissom” from Christian Faith Publishing author Judy Farmer is an absorbing novel depicting the eventful life of post-military man Mike Grissom as he runs missions for the American president in Korea, solves ranch dilemmas, fights terrorists, rescue victims of kidnapping, and gets married to the love of his life. “The Adventures of Mike Grissom”: a gripping story of an all-American hero, is the creation of published author Judy Farmer, a retired office manager and widow from Portland, Oregon. She spends her retirement in Arizona. Farmer writes, “(Getting together in Puerto Rico, with a new friend and ally, Mike Grissom and an old military comrade found themselves able to cruise the Caribbean and Southern Atlantic oceans in a beautiful private yacht, and at the same time with the help of mysterious drug chiefs, be able to eliminate a source of serious peril to the city of Miami, Florida planned by mid-east terrorists. All under the watchful eye of an FBI Agent sent to monitor them. “After a visit by the wife of the President of the United States, Oregonian Mike Grissom travels to Seoul, Korea in search of the solution to the president's concerns over a possible nuclear attack on an American city. “Joining with some new-found friends, he flies to Frankfurt, Germany, where he uses his authority from the president to borrow a B-52 aircraft from crusty US Air Force General Curtis Osborne. The plane is flown to Tel Aviv, Israel, where it is equipped by Israeli patriots for bombing Iran's Nuclear facilities. Published by Christian Faith Publishing, Judy Farmer’s new book is an engaging high-action tale that takes the readers overseas in their imagination as never-sit-still Mike finds his services in high demand all over the world. View a synopsis of “The Adventures of Mike Grissom” on YouTube. Consumers can purchase “The Adventures of Mike Grissom” at traditional brick & mortar bookstores, or online at Amazon.com, Apple iTunes store, or Barnes and Noble. 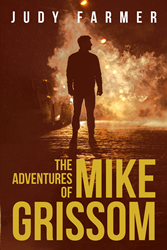 For additional information or inquiries about “The Adventures of Mike Grissom”, contact the Christian Faith Publishing media department at 866-554-0919.